New Life seeks to assist people in the process of growing in their knowledge of God and maturing in their relationship with Jesus Christ. This involves the equipping of believers to be effective servants in the Kingdom of God both in the church and their world of influence in the community. Church teams offer the opportunity to serve within the life of our church. These include the deacons( or ministry of helps), refreshments team, welcome team, power team and the praise team. A single moment in the presence of God can change a person’s life for all eternity, and ushering people into that presence is the purpose and calling of New Life’s praise & worship ministry. 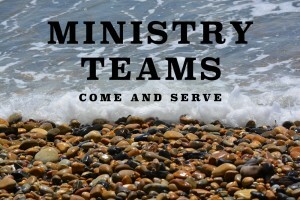 There are policies and practices for platform ministry at New Life, but if you would like to be part of the team in bringing God’s wonderful presence, in healing, evangelising the lost, comforting the bereaved, and leading the congregation into joyous praise and spirit-freeing worship please contact admin@nlcc-medway.co.uk for more details. Ministry of helps is a vital ministry in preparing the platform for ministry on a Sunday morning and involves setting up the chairs in the sanctuary, preparing teas and coffees for the morning service and various responsibilities on a Sunday morning. The power team provides the essential set up for sound and lighting for all platform ministry at New Life. As well as refreshing the saints on a Sunday morning the refreshment team serve throughout the year during Church events expressing the gift of hospitality. The welcome team are the expression of the Father’s heart in greeting people at the front of house. For many, crossing the threshold of a church can be daunting. The welcome team provide the assurance of warm welcome to all who visit and attend New Life.